Francis Sutherland died at Roster 17th April 1918. Wife Ellen Mackay died 11th July 1914. 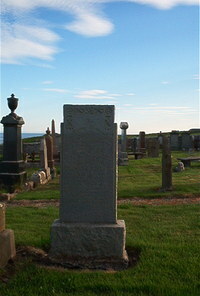 Son John William Sutherland died 2nd October 1908. Sister Isabella Mackay died 7th June 1918. Son Donald Sutherland died 6th November 1966.